I love rivers. I often find myself standing in one or on the shore of one. My mind often drifts into the past, half expecting to see a canoe with native people come around the bend going about their daily work. As reality sets back in, I embrace the scenery, the wildlife, and a peace comes over me. I have a deep appreciation that the water still flows present day. While I may not be fishing to sustain my very existence by the meat I hope to catch, the river provides a salve to my soul and a nourishment I get nowhere else. To me, that is a ‘good river’, and it is a spiritual connection. Some time ago, I was fortunate to stumble upon a retailer named “Good River”, who can be found at www.thegoodriver.com. 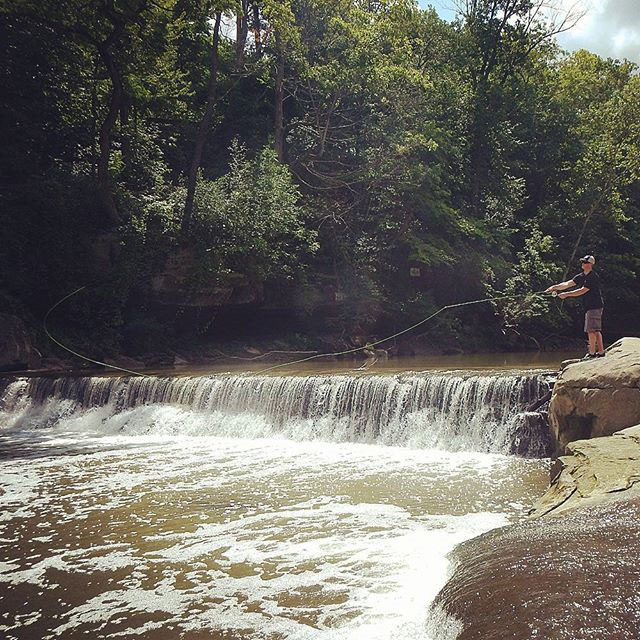 I had no idea how well they would capture the way I feel about rivers, outdoors, nostalgia, and Ohio, in a hat(s). I literally love everything about the company and what they sell. Great people selling a great product. In my mind, they operate out of an old Victorian era factory, beside a river that could be in anyone’s hometown. For me, it is the Sandusky River in Tiffin, Ohio. Before I completely fade into thoughts of walking around the Heritage Festival in the early 1980’s, I better get right down to the business of why this post was initially inked. The fine folks at Good River decided to gift me with a custom CWF trucker style baseball cap. Easily, one of the coolest things to happen since having my website/blog! I suppose the gift was for supporting them by sporting one of their hats (a de-stressed Ohio fish hat) in so many of my photos, but to me, I am just appreciative to them for making something I love to put on that captures my fishing and Ohio pride. After getting the new hat, I went down to the Rocky River with it, took some photos and created a new banner for the CWF Facebook Page. I couldn’t resist getting a little bit of fishing in, but I found no takers. I’ll blame that on the previous night’s rain, but it could have been that I was distracted taking my cap off to admire it every few minutes. 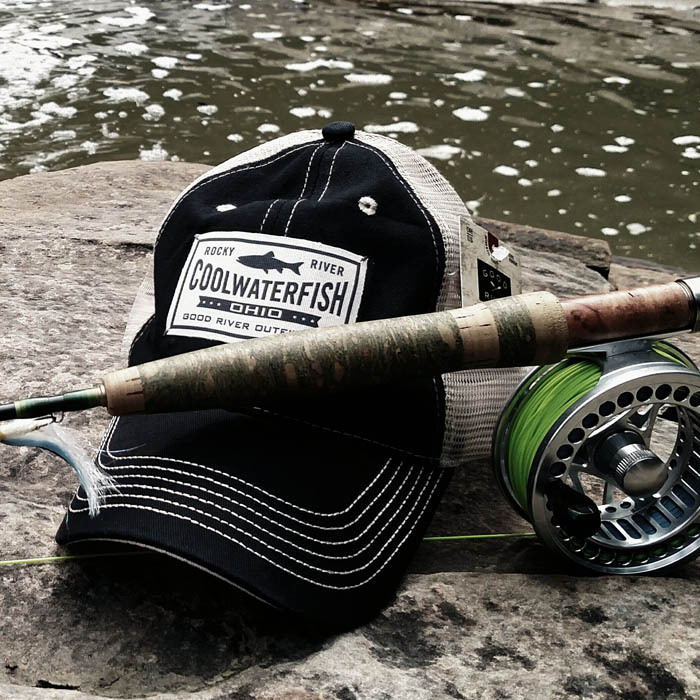 I rarely go on the record to promote something, but I will say without reservation to go check out the Good River website, I’m willing to bet you will find your new favorite hat.